Are you someone who likes the finer things in life? 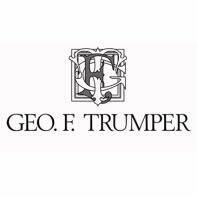 If so, Geo F Trumper Paisley Hair & Body Wash will be right up your street. It's sensationally luxurious. According to Trumper's the scent is a complicated blend of cardamon infused with pepper and spearmint, sitting on vetiver and geranium with notes of star anise and patchouli. About the scent, we say ' intoxicating hints of spearmint, vetiver, orange and lemon'. What isn't up for debate is how effective it is and how it certainly freshens you up in the morning. It generates a deep-cleansing, fresh lather that leaves your skin ever so lightly scented. No need for a shampoo and a shower gel, this liquid soap is good for hair and body. Trumper's pricing policy is such that there are big savings to be made by buying the 500ml version instead of the 200 and 100ml versions. 500mls = £29.00, 200mls £13.50 and 100ml £8.00, do the math! (prices correct at 27 August '18). 500ml, presented in a plastic, Geo F Trumper branded plastic bottle with easy to pour opening. For best results I always think you should use a sponge or flannel. Less waste and a richer lather. This Hair & Body Wash is for men who like a touch of luxury and appreciate fine things.